Apple Watch can now identify irregular heart rhythms. We’ve all heard stories about how Apple Watch has helped people lose weight and get in shape, but two new initiatives could turn it into an essential, life-saving tool. Back when Apple Watch Series 3 was announced in September, COO Jeff Williams talked about a new joint study with Stanford Medicine that will use Apple Watch to detect arrhythmia, or irregular heart rhythms, and notify users who may be experiencing atrial fibrillation (AFib). Now Apple is ready to open it up to the public via the Apple Heart Study app. The free app will passively monitor your heart rate along with your heart rhythm and watch for any abnormalities. It will then notify users of irregularities so that they can take the appropriate action. AFib is one of the most common forms of irregular heart rhythm, and can lead to blood clots or heart failure as well as strokes. It affects tens of millions of people, but many don’t experience symptoms, so it often goes undiagnosed. Apple is hoping this study will help more people diagnose the problem and address it. 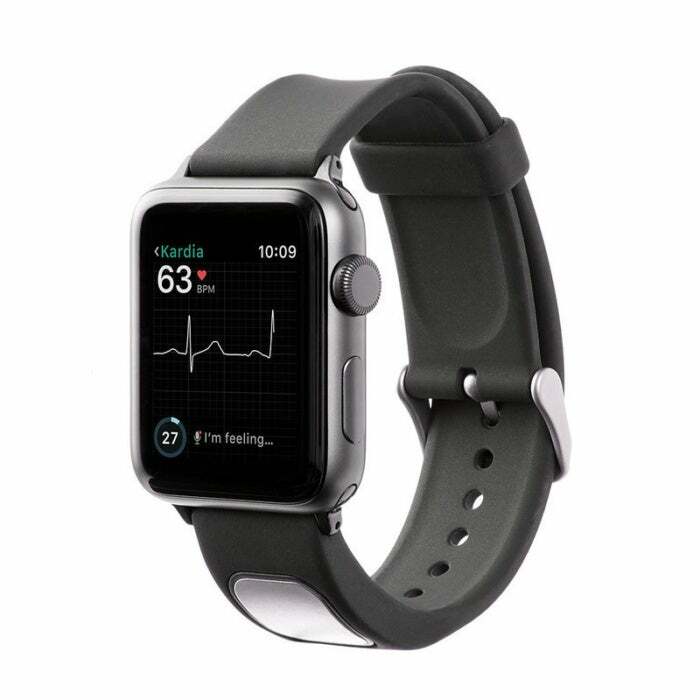 KardiaBand is a new EKG monitor for Apple Watch. Also new to Apple Watch is the first FDA-cleared medical device accessory. AliveCor has announced that KardiaBand has been cleared for sale in the U.S., letting Apple Watch users “record an EKG in 30 seconds with just a touch of its integrated sensor.” Using a new technology called SmartRythm, the band uses AI and Apple Watch’s own sensors to continuously evaluate the correlation between heart rate and physical activity. Like the Apple Heart Study, the in-band sensor will “allow people to easily and discreetly check their heart rhythms when they may be abnormal, capturing essential information to help doctors identify the issue and inform a clear path of care to help manage AFib, a leading cause of stroke, and other serious conditions,” said CEO Vic Gundotra. 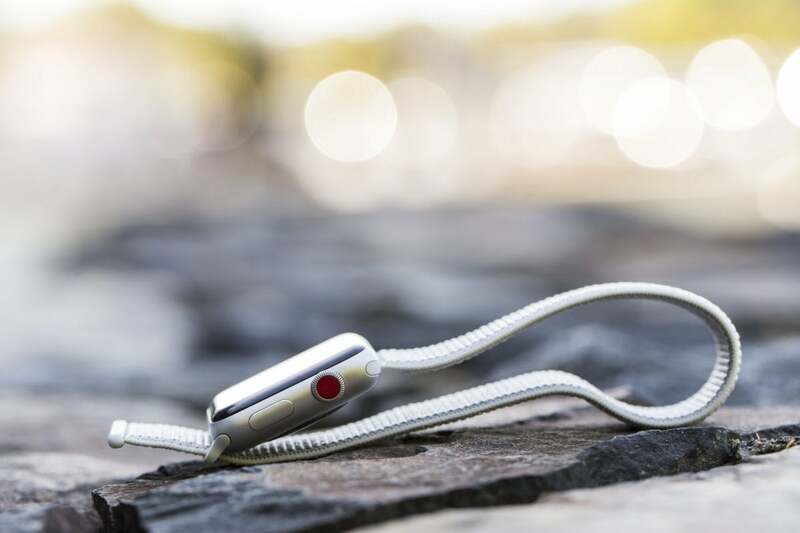 Earlier this year, the FDA announced that Apple had joined a pilot program with Fitbit, Samsung, and others that aims to fast-track health innovations in software and devices. It’s unclear whether KardiaBand’s clearance is the result of this program but it could mean that many more FDA-cleared health devices are on the way. KardiaBand is available for $199 and requires a subscription to AliveCor’s $99/year premium service. The Apple Heart Study app is available for free in the App Store, but you’ll need an Apple Watch Series 1 or later to join the study. Participants need to be 22 years or older and meet a series of criteria to be accepted into the study, including the ability to understand English. What this means to you at home: Health and fitness was a major area of focus in watchOS 4. Apple has already enhanced the Heart Rate app to better track your resting and recovery heart rates, but the announcements today take it far beyond the capabilities of a simple fitness tracker. Apple Watch is still a new product, and it’s exciting to think of where it could be in just a few short years.